Business Gardener: Are you a problem solving organisation ? You should look at your business as a problem-solving organization. All businesses thrive because they solve problems for consumers — and learn how to profit from it. Bill Gates reached success with Microsoft because he figured out ways to fix problems. Facebook has solved the problem of global communication by making each person’s world a bit smaller. People flocked to Oprah Winfrey’s show because they believed she could provide advice for some of their life challenges. Everyone has some kind of problem that’s waiting to be solved. Companies are struggling to stay in business, families are losing their homes, and too many people are out of work. As a company and as an employee, you should not be discouraged by the state of the economy – you should look for opportunities. Become an innovative leader who helps guide your company through the country’s economic struggles. What can you do to improve the situation for a family that is struggling financially? What services can you provide for Australians on lower budgets? Look to solve problems on a global scale with a targeted approach, creating innovative ways to reach out to your customers and meet their needs. The more problems you solve for more people, the more successful your organisation will be. 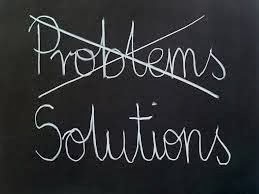 Whether you are a business owner or an employee, you should aim to find new solutions to problems everyday. What problems does your business seek to solve, and are you being held accountable for solving them? As an employee, how can you start solving more problems for your company? Successful business boils down to holding yourself accountable. You must encourage your team to refocus on your fundamental principles and goals, seeking new and specific problems and developing targeted plans to solve them. Here are three key tips that will help keep your company focused on problem solving. 1. Always talk about your clients in terms of solving their problems. This keeps you in the right mindset to effectively meet your customers’ needs. Become the solution to their problems. 2. Never start your business meeting by discussing efforts to make more money. Your primary goal should be to solve your customers’ problems, and profit should come as a result. 3. Always think about how you can solve more problems for more people. You should always be seeking opportunities for growth, and the best way to expand your business is to find creative solutions to pressing problems. Basic marketing - focus on the customer needs and wants and how you can satisfy them. You publish some great and impressive business concept and I am very glad to read your article which is really very worth for me. 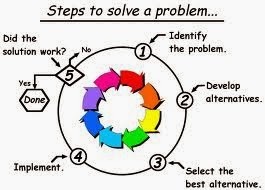 Tips are really helpful to find out the best solution of our problems.